We have a modern fleet and friendly drivers, and we look forward to helping you plan your trip. Large, modern coaches with 46–57 seats. Minibuses with up to 16 seats. VIP cars for up to 8 passengers. Power sockets under most seats. CD, DVD and multiple screens for audio/video. Air conditioning and lighting above all seats. We can also provide catering. We offer a range of options according to your needs. Trip computer ensures safety and comfort on all trips. We are ISO 9001 and ISO 14001 certified. 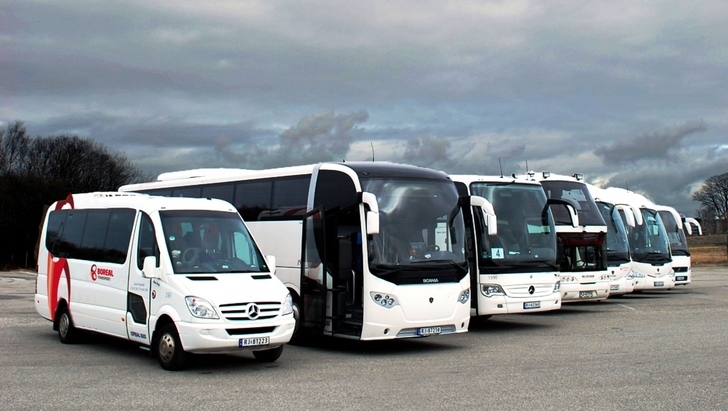 We have one of the youngest coach fleets in Scandinavia. All our drivers are up-to-date with their safety training.